Chiavari Port was granted the “Blue Flag” in 1987 and has maintained this title every year since. Marina Chiavari pays particular attention to the environment and sustainability, adhering to best practices required to maintain a pristine environment. “Blue Flag” status requires that the Marina comply with strict standards of docking, execute strong security protocols and provide the requisite trained staff to enable them to educate and implement the important goal of environmental conservation. Marina Chiavari is always ready to innovate and improve their performance to safeguard the environment. In the event that an environmental incident occurs, Marina Chiavari has equipped itself with its own containment methods. Marina Chiavari has at its disposal floating port barriers that are enough to close the entrance of the harbour; Additional barriers, oil absorbing material and other pollutant entrapments are also available and when approved by the Ministry of the Environment can be employed upon directive from the Maritime Authority. The “Blue Flag” is given by the Foundation for Environmental Education (FEE) – a non-profit, non-governmental international organization existing in more than 30 countries. This distinction, which must be renewed annually, signifies that Blue Flag locations must demonstrate good management, provide quality services disseminate information to the public that enhance environmental safety. 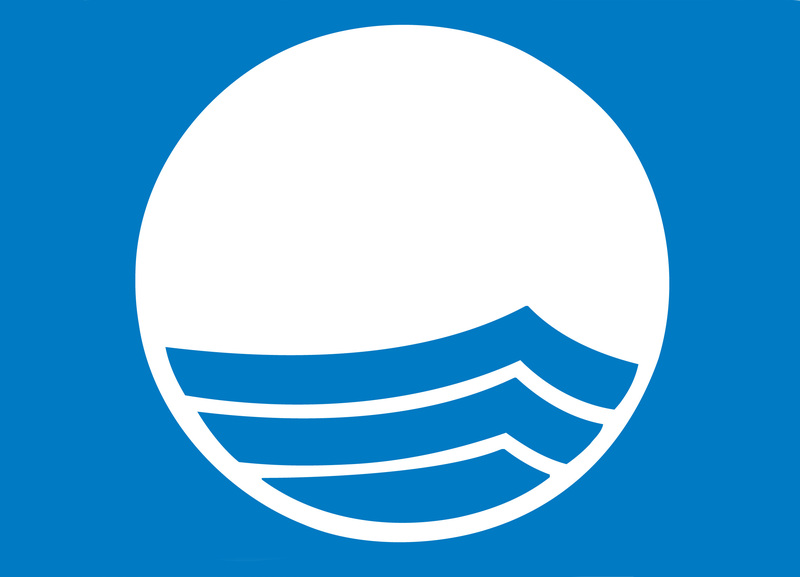 The requirements to achieve the state of “Blue Flag” are met by the docking quality, the security conditions, and the manager ability to carry out activities to inform and educate users to environmental conservation. Since 2000, the city of Chiavari has proudly earned the same flag in recognition of the quality of its sea, its beaches and the activities related to educational training dedicated to environmental sustainability. Marina Chiavari provides a modern and efficient eco zone where the harbour guests can recycle hazardous materials, including used oil, used batteries and filters. For further clarification about acceptable products, contact Cala Nostromo). 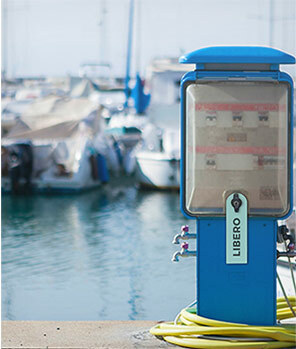 The management of Marina Chiavari requires that their staff – during maintenance operations in the harbour – and clients, employ biodegradable products, solvents and detergents whenever possible.